Brawn, Formula 1’s Managing Director of Motorsports, is no stranger to the Mercedes squad, having spent three years with the team, during which he helped lay the foundations that have enabled the team to enjoy a remarkable five-year spell of championship glory. But, having made relatively light work of their 2014 to 2017 title-winning seasons, the Silver Arrows were pushed to their limits by a formidable Ferrari team this year. 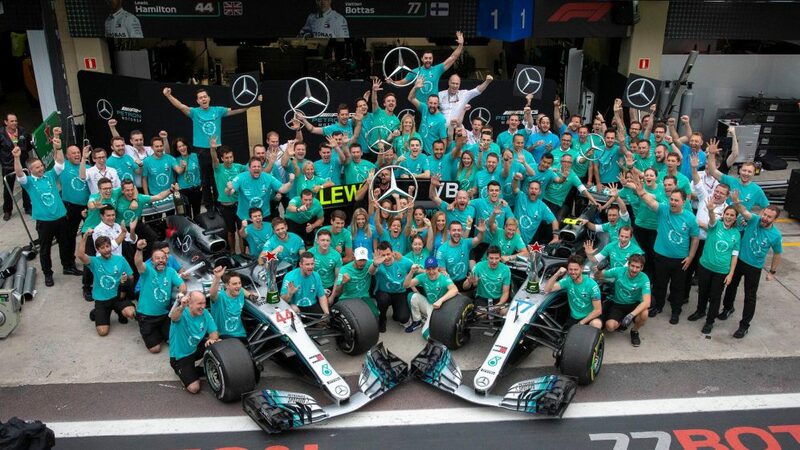 And, according to Brawn, the fact that their chief rivals boasted a stronger package - and that Mercedes were able to overcome that - means their latest triumph is one to savour for Team Principal Toto Wolff and his staff. “Mercedes have made a clean sweep of all the world championship titles, drivers’ and constructors,’ over the five years that the hybrid-power Formula 1 format has been in existence,” said Brawn. “One can only have words of praise for what this team has achieved in that time. 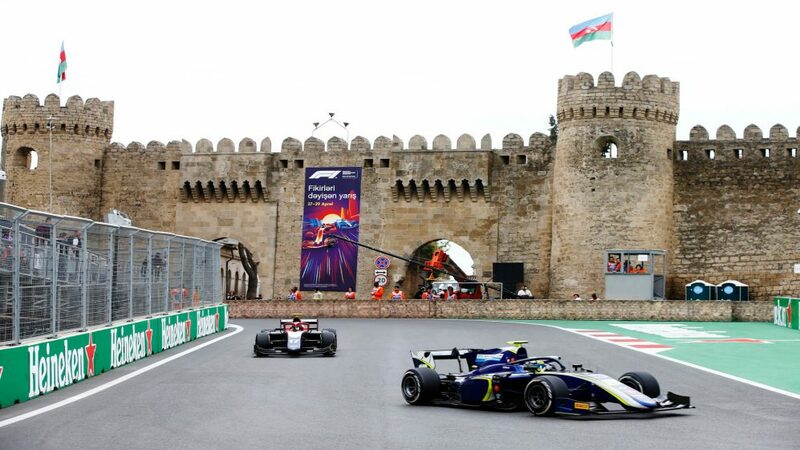 That goes especially for this year when the team run by Toto Wolff won, while finally facing a rival that was its equal and maybe even its better at the majority of races. “It’s therefore an amazing achievement for the men and women of the Silver Arrows to have won both titles this year. Firstly, they knew not to rest on their laurels: I am well aware how easy it is to believe that because you’ve won for so many years in a row, you can continue winning without much effort. 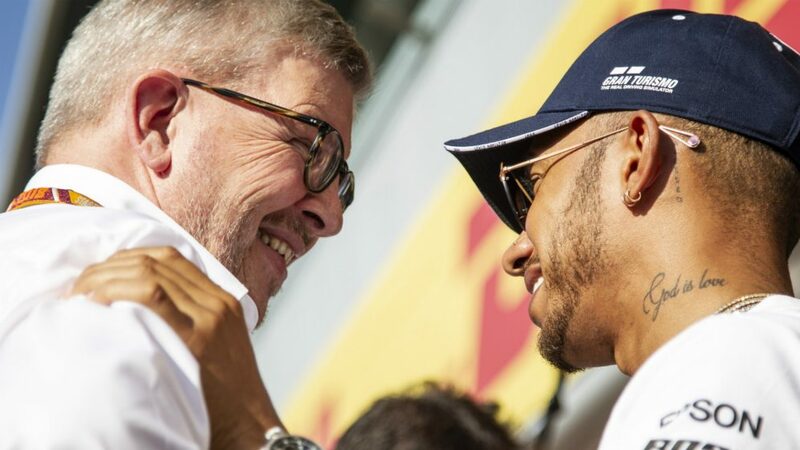 Brawn enjoyed a memorable double championship-winning season with Brawn GP in 2009 before selling the team to Mercedes – and he’s delighted to see a few familiar faces enjoy F1 success, while also reserving praise for drivers Lewis Hamilton and Valtteri Bottas. “I know a lot of the people in the team as they were with me in the amazing times of Brawn GP in 2009 and then during the first four seasons as the official Mercedes team,” he added. 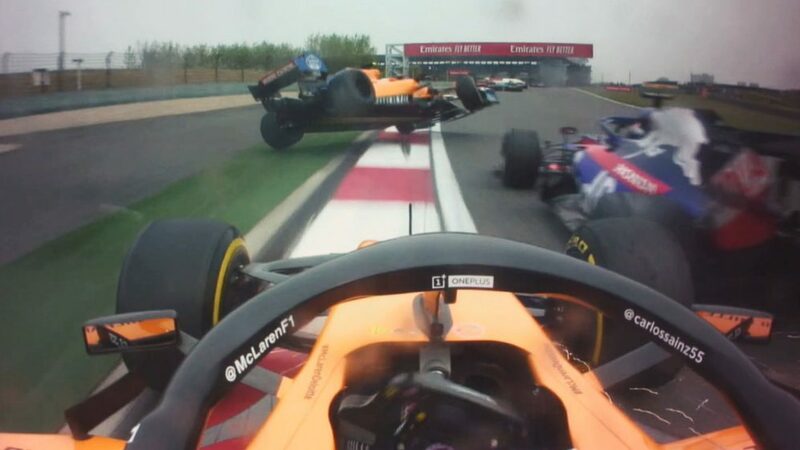 “I am particularly pleased for them, as they have always been so passionate about Formula 1 and even when they faced some complicated situations, they never gave up – and that has delivered this amazing run of wins. “I also want to congratulate the two drivers: in Lewis’ case I did so at the Mexican Grand Prix, but again in Brazil he showed that he still has a strong will to win.